Caring, honest, efficient. Showed great pride in his work. I could not have asked for more and I’m so happy with my new loft ladder. I had a new loft hatch and loft ladder installed. Very good service and pleased with the result. Tradesman doing other work in the house commented on how good it looks!! Josh gave us a quote and agreed a date for the work to commence with no hassle. We had a new loft hatch, loft ladder & loft boarding. He arrived on time, left no mess & we are really pleased with the job. We would recommend to anyone. Did everything as per quote plus. Very professional. Very tidy. WOW factor. Would recommend to everybody. On time, quick, efficient & clean work. Very pleased and would recommend to anyone. Great job, great communication, no mess, pleasant fitter and I’m very happy. Would definitely recommend. We had a loft ladder and loft boarding fitted. We are very pleased with the work carried out. Josh arrived on time in the morning, was very efficient and showed a high standard of workmanship. Very impressed that how he cleaned up after the work was completed. We found Josh extremely efficient, polite, friendly and respectful. We would highly recommend Access4Lofts to other people. Prompt and efficient installation carried out by pleasant members of staff. Fabulous service. Would recommend. Turned up as arranged on time. Polite and respectful workers. Good job and well priced. A professional job done by a very pleasant young man. Very satisfied customer who will not hesitate to recommend Access4Lofts in the future. Very pleased with my new loft hatch, loft ladder & loft boarding. The lads did a very good job & left everything clean & tidy. An excellent job!! The team arrived promptly and worked swiftly and efficiently. They were polite and courteous and even hoovered up afterwards! We are so happy about the tidy boarding and ample insulation and especially the loft ladder. Thank you. I had loft boarding installed in part of my loft and stud walls erected so I could use my space for storage. What a difference it has made! Josh did the work and his standard of work was excellent. He worked non stop throughout and left the area nice, clean and tidy when he’d finished. Ready to use immediately. I would certainly recommend Access4Lofts Blackpool. Excellent Service – Josh was prompt, polite and did a first class job installing our new loft hatch, loft ladder and loft boarding. We are very pleased with the results. I would recommend Access4Lofts Blackpool to everyone who needs loft access. Thank you! Very pleased with the work carried out by Access4Lofts Blackpool. A big improvement to my loft space. Overall excellent service & would highly recommend the company. Josh did a brilliant job when installing my loft boarding and loft ladder. There were no hidden extras, the quality of the work was excellent and very clean. He took the time and trouble to ensure I could operate the loft ladder safely and even helped me move 2 abandoned birds nests up there! Thank you so much, we will definitely be recommending Acces4Lofts Blackpool. Josh did a very professional and efficient job installing our new loft hatch & loft ladder for us. He cleaned up when finished & clearly instructed us on the us of the loft ladder. Thank you both for a lovely job! Quickly done – I hardly saw you. Very pleased with end result and extra storage space. Professional, friendly service. 5* JOB FROM BEGINNING TO END!! Thank you Josh, we certainly be recommending Access4Lofts Blackpool to our friends & family. Excellent service from first contact to completed job. No hard sales patter!! Excellent customer skills demonstrated by representative, who also undertook the installation of out new loft hatch and loft ladder. He took the time to phone prior to the arranged date as a reminder, completed the job in a prompt and professional manner. He even took the time to hoover up (using his own hoover). Service was excellent from our first call all the way to final installation. Showed all the certificates and had an up to date catalogue of recent work, which is always good to see. Very happy with service – thank you. We had a loft ladder and loft boarding fitted by Access4Lofts Blackpool. Josh was very professional, there was no mess to clear up and we are very pleased with the work. From the very first phone call we were impressed by the efficiency of the company. Calls were answered quickly and politely. They turned up for they quote and installation when they said they would. The work was completed to a very high standard. Josh was very polite & cleaned up after himself. Excellent service, I will be recommending to others. Access4Lofts Blackpool are fast, reliable, efficient, tidy & friendly. Josh & his colleague both did a fantastic job & I would recommend them to anyone. Fitted us in earlier than expected, arrived on time & finished the job in a couple of hours. Pleasant, polite & left the house very clean & tidy. Would definitely recommend Access4Lofts Blackpool. I received regular communications, re date of fitting and everything went ahead just as planned. I didn’t have to move anything or put anything back. everything was left clean & tidy. I would highly recommend Access4Lofts Blackpool. Access4Lofts were very professional from the initial enquiry to completion of the job. Both Josh & Matt were very polite and we are very pleased with the work. We would highly recommend to anyone. What a truly fantastic service! Thank you so much Josh for doing such a good job of putting in our new loft hatch for easy access to the attic. Going the extra mile to make it look perfect! Would highly recommend Access4Lofts Blackpool! Excellent speedy service. Courteous staff, professional fitter. Would highly recommend. Great service from Access4Lofts Blackpool. Arrived on time, honest, polite, hard working, phoned to arrange time & date. They left the house clean & tidy on completion. We will be recommending to family & friends. Josh arrived on time, fitted the new loft hatch & loft ladder in no time, leaving the room clean & how he found it. Will recommend you to friends & family! We had insulation and some flooring done. The guys who did the work were polite and efficient and did a good job. We were very pleased with the outcome. Josh was very professional in giving the quote, explained the options and wore shoe covers. On install, he phoned the night before to confirm his visit. Very tidy & explained the operation of the loft ladder after the installation was complete. Great service, would definitely promote. A very professional job from start to finish. We have been really pleased with the loft ladder, loft hatch, light, loft boarding & the quality of service from all the staff, would highly recommend. Thanks also for pointing out the wasps nest. It came out very easily and pointed out a problem with a roof tile. Josh was polite, nothing was too much trouble & cleaned up after himself. I would recommend Access4Lofts Blackpool to anyone. I have just had a loft hatch & loft hatch fitted by Josh. Absolutely excellent job at a very good price. He was very clean & tidy, putting dust sheets down on the stairs and landing, and even bringing his own hoover to clean up afterwards!! Very nice person and a great company. Would definitely recommend to anyone. Having a new loft ladder and loft hatch door fitted by Access4Lofts Blackpool has been an easy operation and I am very pleased with the way Josh worked – This was in a very professional manner. He used dust sheets to protect my carpet and tidied up after himself. A very good job. I had 2 loft hatches, a loft ladder, insulation & loft boarding installed by Josh all in 1 day. Very polite & excellent worker. Cleaned up after himself & left the place spotless. Would highly recommend. Thank you Josh!!! New loft hatch, loft ladder, loft boarding, light & insulation installed. Josh Completed the work on schedule. he worked efficiently, quickly & tidily taking care not to doors etc. He was cheerful, courteous and anxious to ensure we were happy with his work. We would not hesitate to recommend this company, and Josh. Excellent service from initial quote to completion of the job. We’re thrilled with our new loft storage space. Josh worked very hard & even cleaned up afterwards. I had loft boarding installed last week and they did a superb job and offer an impeccable service. Prompt, friendly, efficient and clean. Paid great attention to detail. Very helpful staff, I would definitely recommend Access4Lofts Blackpool. Really impressed with the service provided by Access4Lofts Blackpool. I had loft boarding, loft hatch & loft ladder installed. Josh explained fully the work to be undertaken, prices etc. Very clear & informative. Beautiful finish & very tidy. Excellent job, many thanks! Work carried out quickly. Area clean. Great job. Happy customer. Welcome to Access4Lofts Blackpool. My name is Josh and I’m your Blackpool based loft ladder installation expert. I can help you utilise your loft space by providing quick, easy and affordable loft access and storage solutions. 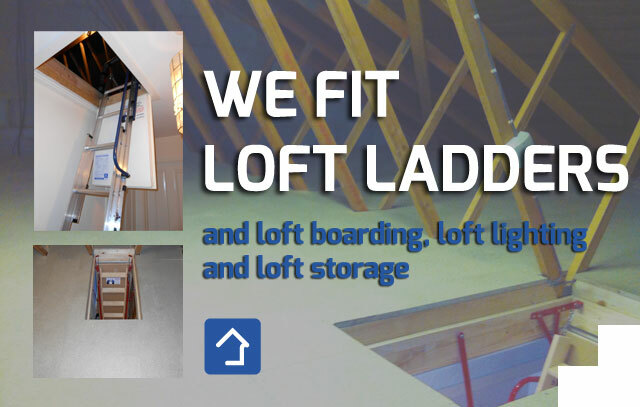 Here at Access4Lofts I can install a loft ladder, loft hatch, loft boarding, insulate and even put in a light, often in just 1 day – no mess, no fuss, just easy access to all that lovely storage space. I cover the areas of Blackpool, St Annes, Lytham, Bispham, Cleveleys, Thornton, Fleetwood, Garstang, Longridge, Poulton and the surrounding areas. I offer a free quotation service with no high pressure sales and better still I don’t blind you with science or give you an approximate price and then add on extras – all my quotes are followed up in writing the very next day and I put a minimum of 5 year guarantee on all my work! And, for extra peace of mind I’m accredited by the Which? Trusted Trader Scheme.